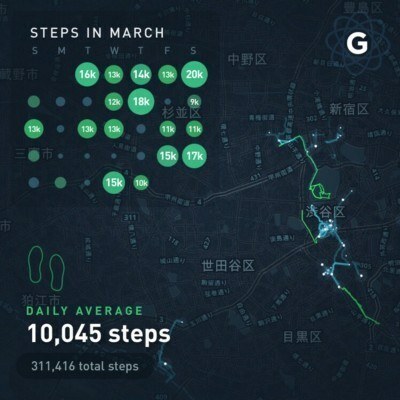 One of the most exciting things that the combination of the Internet of Things and AI will bring us is the concept of a life management and visualization system, or a Life Dashboard. Imagine as a head of household being able to define your family’s goals for education, savings, investments, diet, exercise, media consumption, travel and vacations, etc., and tracking progress towards those goals in a realtime and visual way. That’s what Life Dashboards will be. The Internet of Things will enable us to capture data about virtually every facet of our lives and collect that data into a stream of events that can be processed. These will come from wearables, from our homes, the vehicles we use to travel, our work, and any other system that captures data about us. Artificial Intelligence will then be able to look at that stream of events and recommend actions for you to take, e.g., you should eat this meal to supplement your diet, or because it knows you’ll enjoy it, or you should watch this show or make this investment because so many of your other friends have done the same and have given positive reviews. I talked about Desired Outcome Management in my book The Real Internet of Things. The key concept is that you will tell the system what you’re trying to achieve, and it will then build you a plan for achieving those goals based on everything it knows about what works and what doesn’t work for people like you. These recommendations will be powered by machine learning that predicts outcomes based on vast quantities of similar data, e.g., which shows you’ll like, which investments you’ll see as smart, how best to educate your kids, what place to take your family to for dinner in town, etc. And then, on any given day or any given weekend, the family will be able to look at the Life Dashboard and see how they’re doing. Are we investing enough in our future? Are we overdue for a vacation? Is there a show that my closest friends with families absolutely recommends we watch? Is there a book that I should read to prepare for an upcoming work event? Eventually the system will be advanced enough to always have a recommendation for you, about whatever it is that you need. What vacation should I choose? It knows because it knows what your most similar friends did and liked, combined with all the reviews about the place. Same for where to invest $5,000 dollars, what to watch for entertainment tonight with the family, what exercise to try to break up the monotony, etc. People who react viscerally to this with statements like, “I would never want my life managed in this way by a computer.”, would probably also say the same thing in 1980 about a smartphone or a digital calendar. It’s scary because it’s new, but the pure value that it brings will quickly squelch the objections. The reason this type of system will be so popular—not just for complete life management but for smaller areas like fitness as well—is that it’s hard to define goals and stay on task with them. The idea for a Life Dashboard is that it becomes your permanent wallpaper, your permanent screensaver, your ever-present reminder of what those goals are and how you’re doing against them. And not only do you see how you’re doing against your own goals, but you also see the next action you should take right now to make progress. It’s a bit strange to think about right now, but I can promise you it’s coming and that it’ll be a revolutionary way of managing life goals and outcomes. 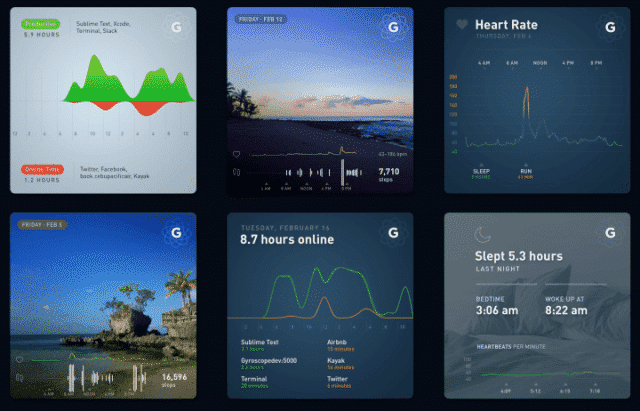 The images in this post are all from Gyroscope, an app that’s working on a smaller vision of this currently. The piece that it’s missing is true life management and recommendations. It’s mostly just the visualization at this point.